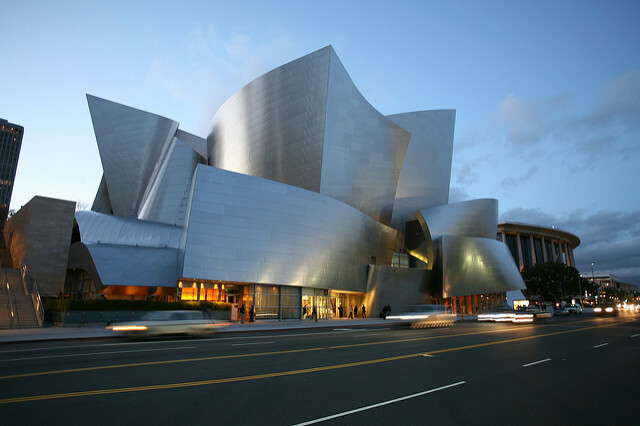 Frank Gehry’s legacy is recognized worldwide for his ambitious designs that push the boundaries of architectural technology. In countless cities one can find his masterpieces that serve as local landmarks. Gehry has received numerous awards for his work and in 2016 he received the Presidential Medal of Freedom for his contribution to the world of architecture. We’re proud to be developing a Frank Gehry architectural marvel and bringing his legacy to Toronto. We have listed a few of our favourites projects below. This building is inspired by the famous dance of Fred Astaire and Ginger Rogers. 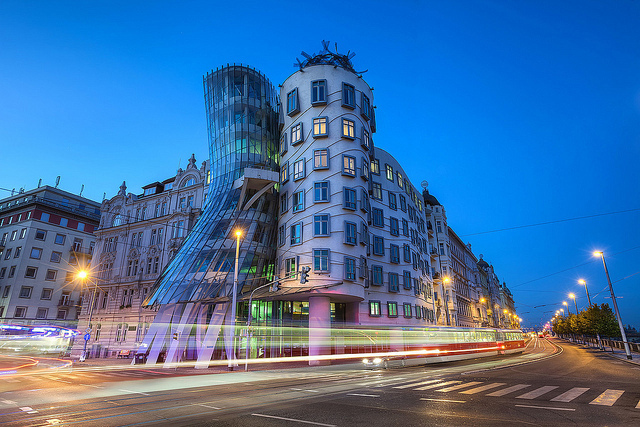 Given the name “Dancing House”, it metaphorically resembles the pair of dancers. The distinctive design is surrounded by historic architecture and has become a landmark in Prague. 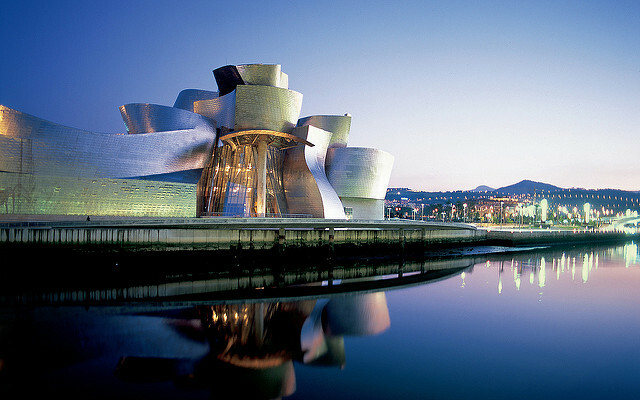 This is one of the largest museums of modern art in Spain. It is also the first to be constructed using the 3-D software CATIA, which was originally used to model complex geometry in the aerospace industry. The curves on the titanium-clad façade are strategically designed to catch light and reflect both warm and cool tones. The building is also centred around an atrium which is filled with light and looks out to views of Bilbao and the surrounding hills of the Basque Country. 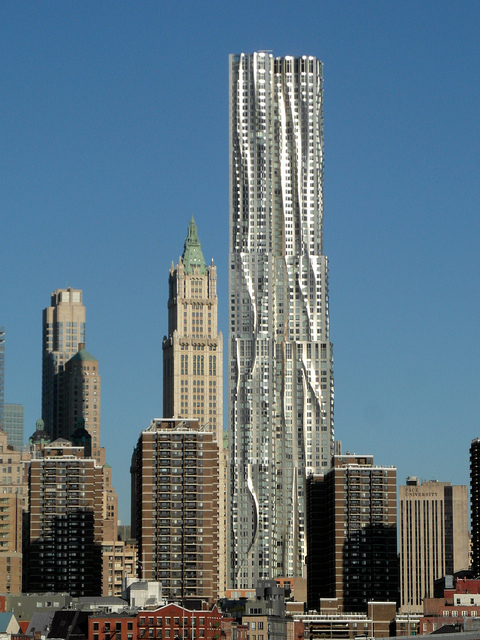 This is a 76-storey mixed-use building located in lower Manhattan. 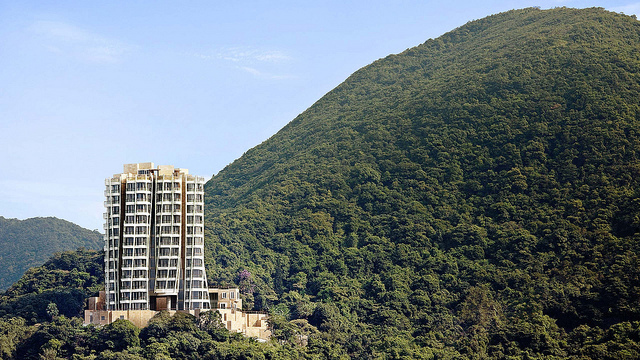 Gehry developed the design to accommodate bay windows as requested by the client. 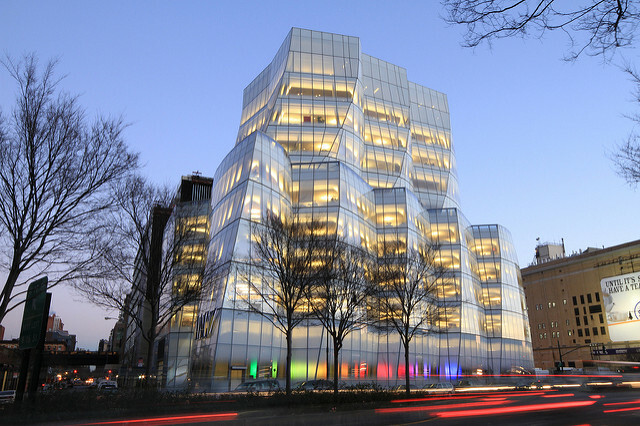 Instead of stacking the windows, Gehry shifted them on each floor, which created the effect of a fabric draping over the façade. The bay windows allow residents to step out past the plane of the exterior wall and have the feeling of being suspended over Manhattan. 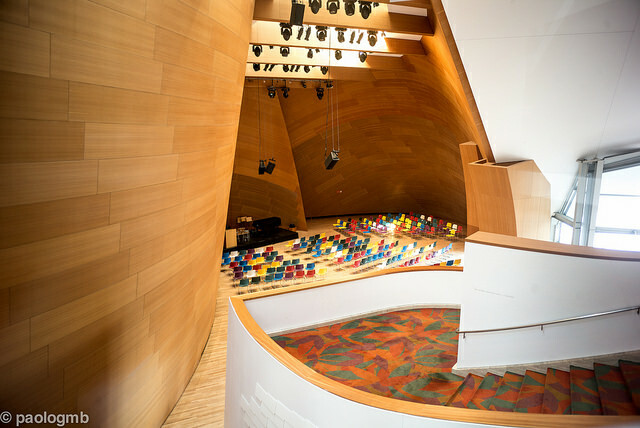 The Walt Disney Concert Hall is located in Downtown Los Angeles, adjacent to the Music Centre. The interior walls and ceilings are made from wood with a ceiling that resembles a sail to give visitors the impression of being within a ship. The exterior is clad with stainless steel panels on curving and folding walls to create a highly sculptural composition. 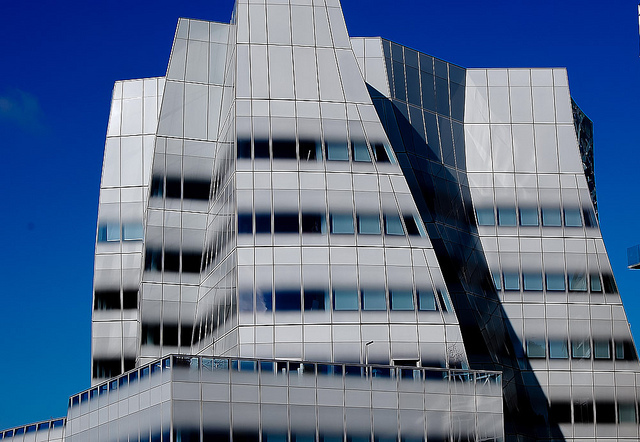 This building is located between 18th and 19th street across from the Chelsea Piers Sports and Entertainment Complex in New York. The glass façade contains a special coating, embedded with ceramic particles to increase energy efficiency. 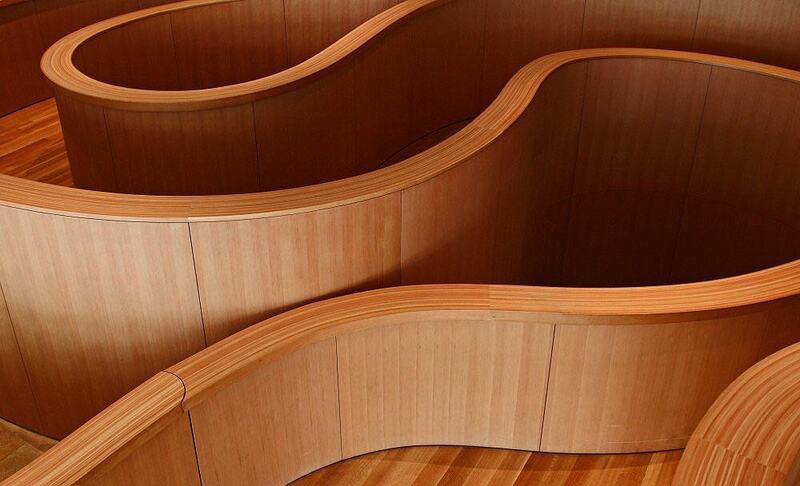 Gehry designed the building walls diagonally, with tilted columns and irregular spaces allowing for varied configuration and open-plan offices. 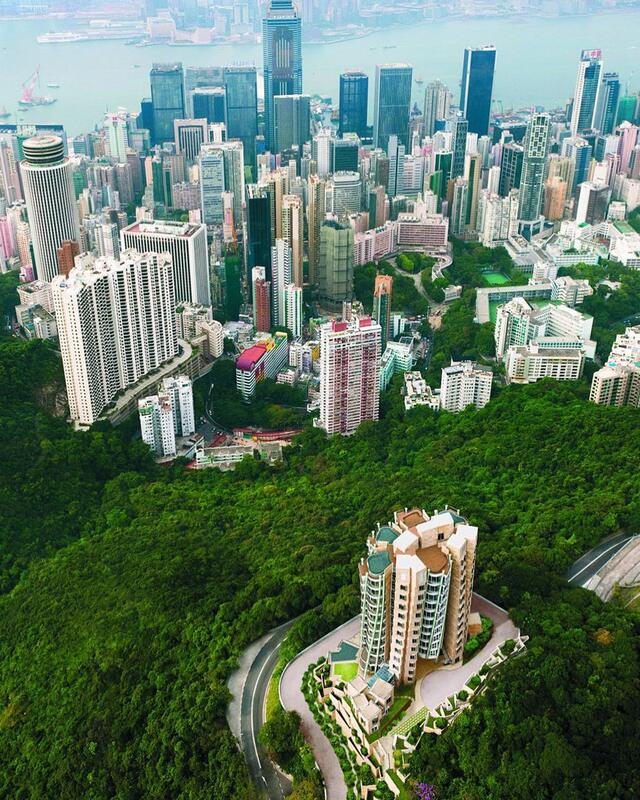 The project is situated on the mid-level of the Peak in Hong Kong, consisting of twelve luxury residential units: 10 super-flat units and 2 garden duplexes on the lower levels. In order to give the interior layout maximum flexibility, the structural columns are located on the outside of the building, giving the building its iconic appearance that recalls the bamboo in Chinese paintings. 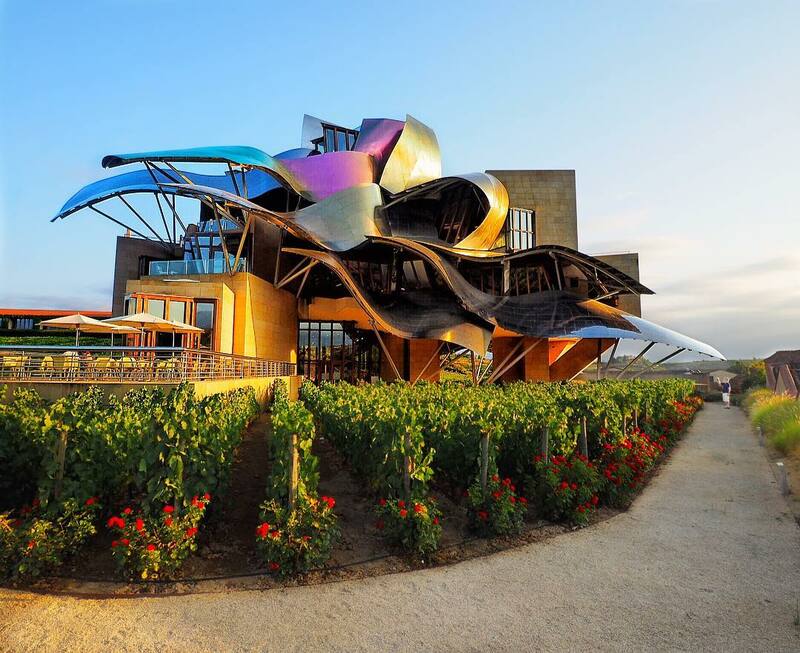 Located in one of the oldest wineries in the area of Elciego, Spain, the building is intended to provide a unique experience for visitors. The exterior of the hotel consists fundamentally of a series of rectilinear elements clad in sandstone and a series of curvilinear elements clad in gold titanium panels, in pale pink titanium panels, and in mirror finish stainless steel panels. Of course, we must mention Gehry’s first work in Toronto. 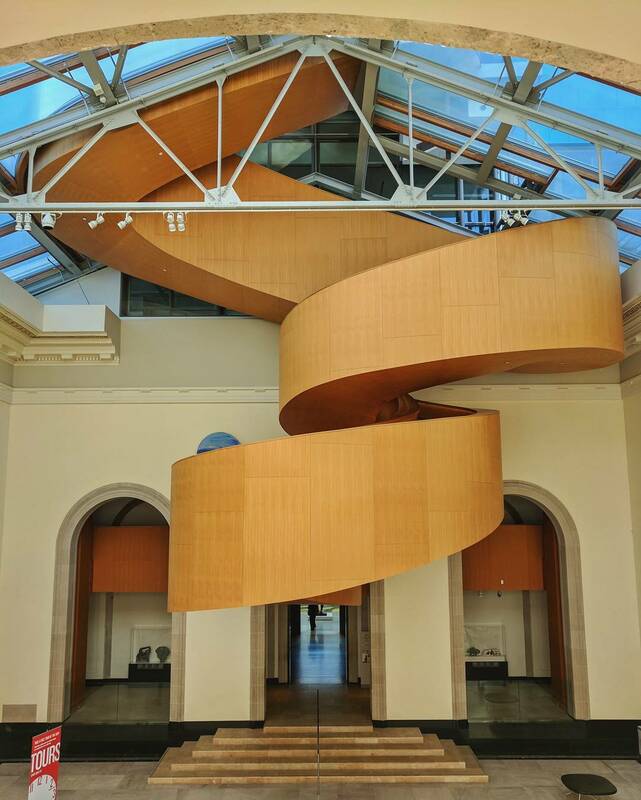 At a young age Gehry would visit the AGO and it was where he first made his connection between art and architecture. Many years later, Gehry’s addition would include a beautiful wood and glass galleria that stretches along Dundas Street. Many challenges were faced in the process of building an addition to an older building that had already been through significant renovations. 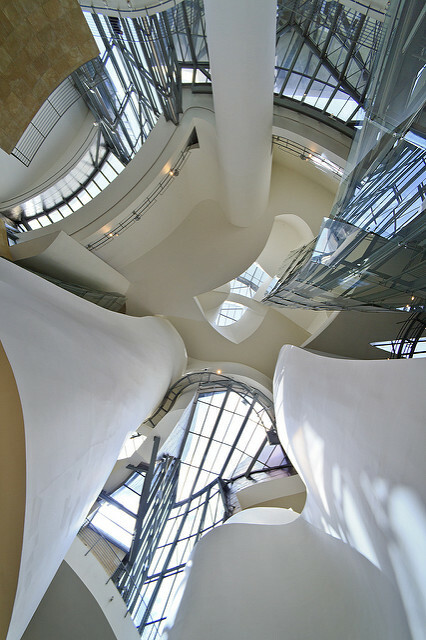 Gehry successfully integrated his style into the older spaces of the museum by adding a sinuous ramp and an iconic staircase. 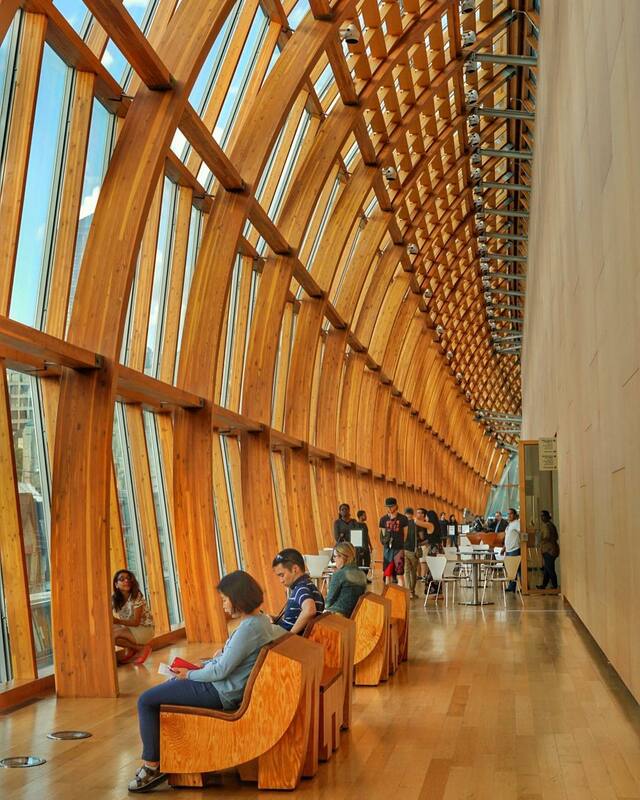 With the AGO being Frank Gehry’s first work in his hometown of Toronto, we can’t wait to follow in its footsteps and be his next. 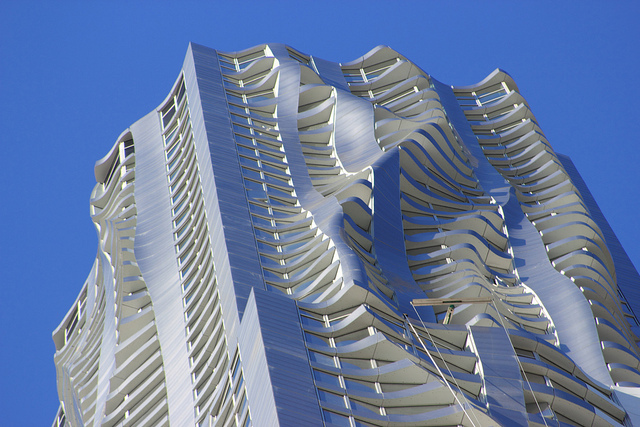 What’s your favourite piece of work by Frank Gehry? Tell us about it over on Twitter or Facebook.